Camera maker RED’s foray into the smartphone world has been rocky at best. Their first and only phone - the Hydrogen One was delayed, altered and turned into more of a gimmick than the revolution RED hoped to bring. Its holographic display faced issues and the different modules which were supposed to come in 2019 were simply scrapped off. And even with all those compromises, it took until today for the titanium version to go on sale. Those who pre-ordered two years ago will finally get their RED phones. Last year, users who pre-ordered the titanium version got an aluminum one instead and on top of that were promised a free titanium unit when those arrive. So those early adopters will be receiving their brand new titanium Hydrogen One's on the house. 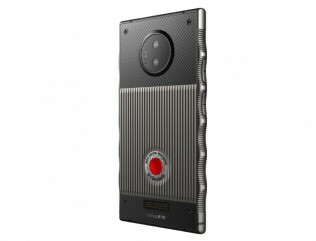 The Hydrogen One features a 5.7-inch QHD Holographic display. There are dual speakers and two 8MP cameras on the front. Around the back, the device features a dual 12MP setup with flash capable of recording 3D video. The fingerprint sensor is located on the right-hand side. Inside, we have the Snapdragon 835 with 6GB RAM and 128GB or 256GB storage with microSD support. The battery is 4,500 mAh and can be topped up via the USB-C connector. It runs on a near stock version of Android 8.1 Oreo. Apart from the new exterior finish, the titanium phone will offer 256GB storage instead of the 128GB found on the aluminum version. 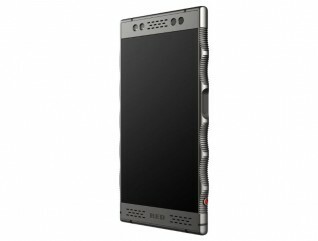 The price is $1,595 and the phone can be purchased exclusively from RED’s site. If there are any takers left remains to be seen, but at this point chances are slim at best.